Coal is a fossil fuel that takes millions of years to create. Coal is created from plants buried under water and dirt. Heat and pressure turn the plants into coal, a mineral. Coal is classified into four types; anthracite, bituminous, sub-bituminous and lignite. Bituminous coal is the most abundant from of coal in North America, according to Britannica Online (Reference 4). Sprinkle 1 tbsp. of salt over a lump of coal in a bowl covered by 1/2 cup of water. Carefully sprinkle 2 tbsp, water over the salt on the coal. Continue by adding 2 tbsp. laundry bluing and three drops of mercurochrome. 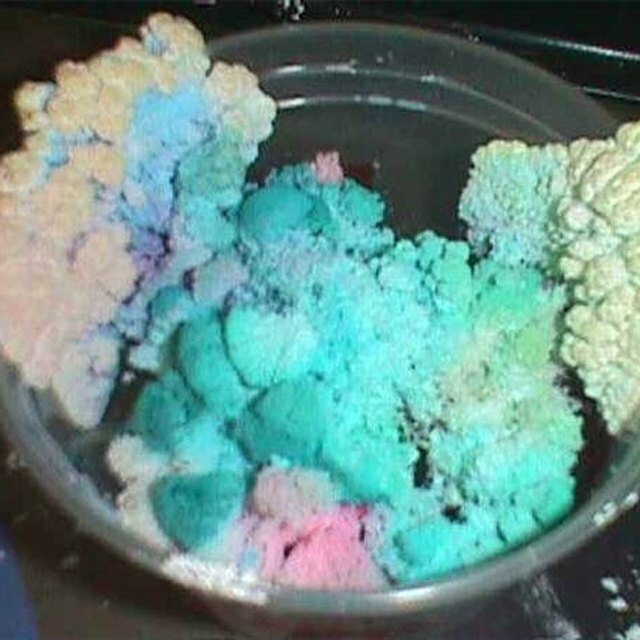 Laundry bluing is a laundry whitener and can usually be found at a local grocery story. 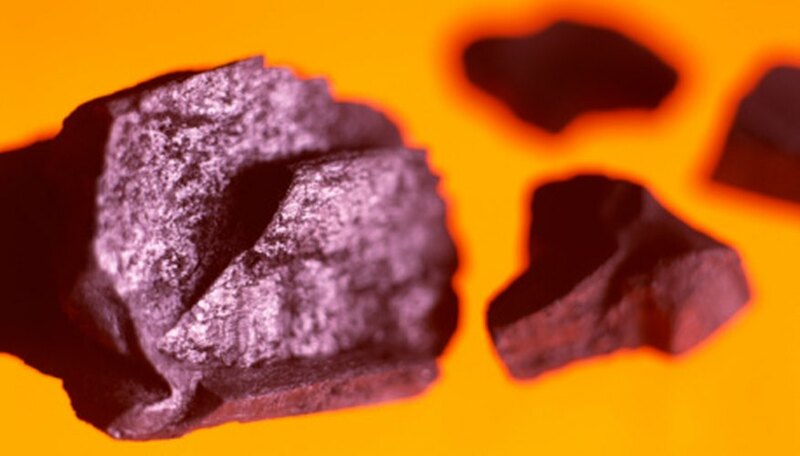 Mercurochrome is an antiseptic and is usually available in local pharmacies. For extra color add two drops of any color food coloring. Wait three days for a colorful moss to develop. Fill a glass bowl or aquarium with water. Add 1/3 cup soil and mix well until the water is murky or muddy. Add a coal packet. Coal packets are found in pet shops that sell fish. Monitor the cleanliness of the water for a period of 24 hours. Hammer 1/2 cup of soft or bituminous coal into powder. Pour or scoop the coal into the large end of a funnel and place a finger over the small opening of the funnel to prevent the coal from pouring out. Carefully turn the funnel over and place the upside-down funnel filled with coal powder into a quart size mason jar. Slowly fill the jar with water, until the upside-down funnel is covered with water. Fill a test tube with water and insert it into the small end of the funnel. Avoid putting air into the test tube. Place a rubber band around the glass jar at the water level. Observe the test tube as it fills with methane gas over a three day period. Label the four different types of coal: lignite, sub-bituminous, bituminous and anthracite. Use a pair of tongs to hold each numbered sample of a type of coal over an open flame, such as a Bunsen burner. Document the speed of ignition of each sample and time the burning of each sample. Jessica Wright has been writing since 2006. Some of her articles include "Martyrdom in the Modern World" and "Testimonies: Life After Teen Pregnancy." She attended Murray State University, studying English. Wright, Jessica. "Experiments With Coal." Sciencing, https://sciencing.com/experiments-coal-8543348.html. 24 April 2017.